ALL IS WELL IN 2012. THE SEASON OF BLESSINGS! Hello Everyone and Happy New Year! I hope you ended 2011 with a bang and I pray that 2102 will be your season to grow and prosper exceedingly and abundantly! May your cup be filled with God's blessings and overflow! I know I haven't written in a couple of months but life always has a way of getting in the way of things. We are just 18 days into the New Year and I just want to thank God for His Grace, Mercy and the many Blessings he has bestowed upon me already this year! I have so much more to share with you but I will fill you in tomorrow with more details. Until then.....See ya lata alligata! My heart is so heavy right now! I was a die hard Heavy D fan back in the days and still a fan of him now as I recall watching him a few weeks ago on the BET Hip Hop Awards and jumping up and down in my house screaming, rapping and dancing. After that I thought "Oh my God, why didn't I think of this before". 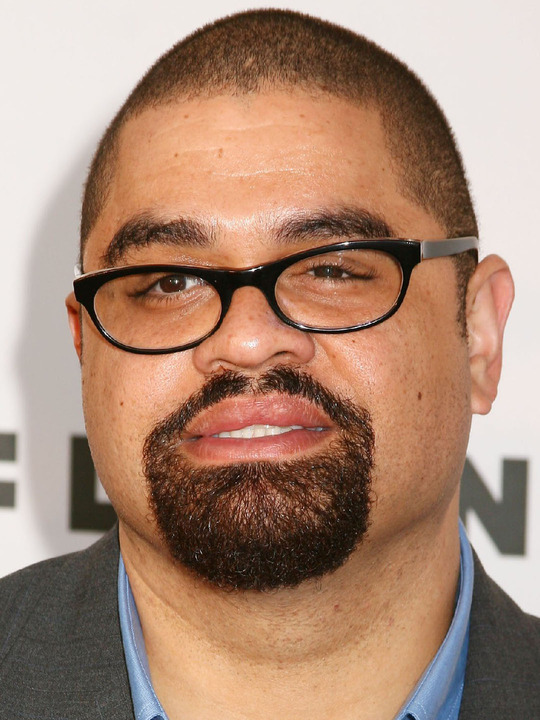 I immediately searched for him not as heavy D but his real name Dwight Myers and saw we had quite a few common friends. I mean he is from the very town that I live next to......"Money Earning - Mt. Vernon" I thought Heavy D would make a perfect spokesperson for Not Your Average Talents and my goal was to friend him and just ask him personally. He did accept my friendship the next day and I remember being so excited that he did but I wanted him to check me and my company out first before I dove right in so I waited........I guess I will never know now......SMH I remember years ago meeting him in a club and me being the bold gal I was in the early 90s asked him to dance and we did. He was so sweet and as we all know could dance his a$$ off! Great and fond memories of the "overweight lover". May He Rest In Paradise! We all loved him but God loved him best. I know him and T-Roy are making the saints dance up in Heaven! Condolences to the Myers family and May God Hold You and Keep you in this time of sorrow. Celebrate his life and how much he inspired, motivated and loved people and how much people loved him. OKAY SO NOW TO HIT YOU WITH THE BORING STUFF.....LOL BUT IF YOU ARE INTERESTED IN GETTING TO KNOW ME AND HOW I BECAME WHO I AM TODAY, HERE IS A SHORT SYNOPSIS......TRUST ME THIS IS SHORT I COULD GO ON ABOUT THIS FOR DAYS.....OH WAIT IT'S A BLOG, SO I HAVE PLENTY OF DAYS........ LOL.....MY HERSTORY!! "Performing is in her blood"! 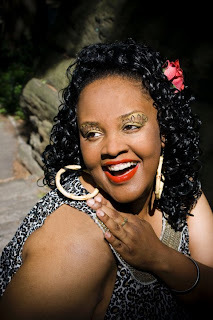 Aminah Cole's father was a professional saxophonist and jazz band leader and her mother was one of the first African American Professional Plus Size Models. She started singing at the age of 2, dancing at the age of 3 and acting in Off-Broadway musicals by the age of 14. Aminah attended the Talent Unlimited High School for Performing Arts in New York City starting as a Dance major and Drama as a minor but Acting soon became her main passion switching to Drama as her Major in her Junior year and continued to study Theater Arts in College. Aminah has been cast in several Comedy Stage Plays, Musical Theater and Gospel Plays. She recently was cast in her first film in the award winning Tony Clomax's 12-Steps to Recovery Webseries. Her love for fashion and being a an advocate for and representative of the Plus Size Community, along with her 6 foot tall stature, Aminah always wanted to pursue a career in Plus Modeling. She attended a Runway Bootcamp under the direction of her Plus Model Mentor and Colleague Gwen DeVoe CEO and Founder of the Plus Academy where Aminah continued to study Plus Modeling in New York. From there she began her Plus Modeling Career ripping the runway with such groups as Katwalk Katerers and One Chance Entertainment in the Evolution of Curves Tour 2010 in New York City and will be modeling with OCE in the Evolution of Curves Tour 2011 in NYC where she is currently an assistant casting director and plus model coach. She also modeled in the Lane Bryant Girl’s Night Out in February 2011 at their Flagship Store in Downtown Brooklyn's Fulton Mall. Aminah, also an entrepreneur and believing that she can make a difference in the way “the entertainment industry” looks at plus size entertainers and models, started her own company called Not Your Average Talents. NYAT is the Premiere Plus Size Entertainment Company dedicated to giving plus size actors, singers, dancers, models, comedians, musicians, etc. an avenue to showcase themselves and their talents, find castings specific to their unique image, in addition serving as a one stop source for Casting Directors, Filmmakers, Model Scouts, Talent Agencies, Record Producers, Production Houses, and Production Studios to use our service to easily find the best in talented plus size entertainers and models. Not Your Average Talents has a mission to break down the barriers of discrimination and mockery in the Entertainment Industry against Plus Size Entertainers and Plus Models. She is a firm believer that people should be judged by the size of their talent and not the size of their body and is determined to change that stigma in entertainment and fashion. You can learn more about Not Your Average Talents and join the Plus Size Entertainers Movement by viewing their website at www.notyouraveragetalents.com and registering as a member on the Plus Size Talents Forum. After losing an amazing 100lbs, Aminah feels that there is nothing she can't accomplish and is well on her way to making herself and Not Your Average Talents a name in Entertainment and Media! New Blog, New Business, New Ideas, New Love, New Life! I decided to start a blog today, something I have tried to do before but never completed. I decided to use this blog as somewhat of a journal for me to write what's on MY mind, how I am feeling at the moment that I decide to write and to share MY LIFE experiences with others. A lot of things I SHARE here some people may feel or may not feel is appropriate but it's as simple as you can read it or you don't have to read it but it's NOT about you. THIS BLOG is all about ME! MY LIFE as a Plus Size Entertainer and Entrepreneur. It's about how I am feeling on whatever particular day it is. It's about MY ups and downs, MY highs and lows. MY GOD that I am slowly learning to get closer to and learning how to submit to HIS will. MY new business, MY sometimes crazy wacky ideas, MY new loves, MY LIFE as a newly single mom due to separation and divorce. I promise you that if you don't know ME, you will want to get to know ME and if you DO know Aminah Saburah Kareem Cole you already LOVE ME! :-) I love to INSPIRE, to MOTIVATE and HELP people in any way I can because that's who I am, so don't ever hesitate to reach out to ME and ask. As you can see by the bold words I just wanted to make sure everyone knows that I created this blog for me but I put it on a public platform for those of you who can relate. Again, you don't have to follow but if you do, I would love your input, suggestions and comments at any time. All I ask, is that you keep it positive as that's what I surround myself with. Here I am world.......THE LIFE OF A PLUS SIZE ENTERTAINER AND ENTREPRENEUR!